Antenna hobbyists, rejoice! 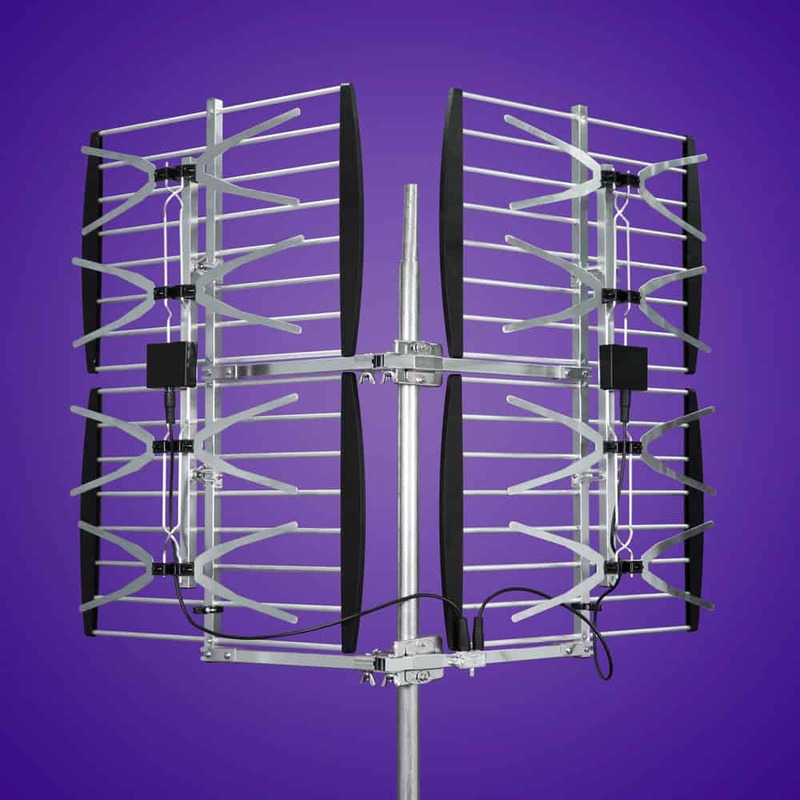 Xtreme Signal’s HDB8X is the choice for high-gain, wide pattern UHF TV antenna reception. This HDTV antenna delivers all the power you need in a space-age package that won’t break the bank and mounts easily to a wide variety of masts. Unlike other antennas, it has an innovative hinged center that allows it to aim a full 180 degrees, so you can get a lot more signals! What could be more satisfying than knowing that, with a single investment, you’ve saved thousands of dollars in future cable bills? Most markets have dozens of TV channels and sub-channels that broadcast over the air for free. Whether you live in the city, suburbs, or a distant or rural area, you’ll get most or all of these stations with the HDB8X. It receives channels from up to 60 miles away and in two directions! The HDB8X from Xtreme Signal is the best choice for you because its sturdy, durable construction delivers years of enjoyment. Its compact design keeps wind resistance down, and it mounts easily on an existing mast or any vertical surface. Aiming this antenna easy, and its unique reflector design lets you easily confirm line-of-sight while standing behind the device. In the past, fans of free TV who lived 50 or more miles from the broadcast towers had to make do with massive Yagi antennas that were difficult to install and aim. These TV antennas also tended to look unsightly over time. This HDTV antenna’s compact design features a modern, clean appearance that will remain that way for years to come. The Xtreme Signal HDB8X is the best choice for you because it combines the power of an “old-school” antenna with 21st century style and design. Use it to pull in most or all UHF channels in stunning high definition. This durable, high-tech TV antenna is just as powerful as those huge antennas of days gone by.